Absolutely the best software in the market for all your DVD to MP4 conversions! Are you searching for the best and fastest software that can support all your DVD to MP4 conversion requirements? There are numerous DVD to MP4 converters available in the market claiming they are the best but most of them fail to deliver. So if you are sick and tired of empty promises, then we recommend you use Cucusoft DVD to MP4 converter, the only DVD to MP4 converter that can ultimately rip any DVD to MP4 format at an amazing speed without degrading the video quality. 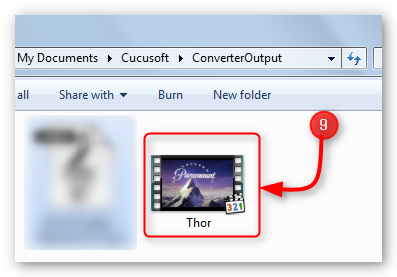 In addition to that, Cucusoft DVD to MP4 converter gives you the power to customize the output to your own preference. It is never too late to make a change, download and install Cucusoft DVD to MP4 Converter on your computer and experience top-notch results only Cucusoft DVD to MP4 can offer! --Insert the DVD you wish to convert to MP4 in the DVD drive of your computer. Once the disc is recognized, please click the cancel button on the auto-play dialog box that may appear. Step 1: Preparing for DVD to MP4 conversion. --Click "Open DVD" to access the DVD you want to convert. Step 2: Selecting the root the directory. --A.) Choose the drive where the DVD you want to convert is located and B.) click "OK"
Step 3: Customizing the Output Format. --Choose MP4 from the "Profile" drop down box, located on the right side of the converter screen. You may also set the "resize and crop" option you prefer at this point. Step 4: Setting the Output Path. 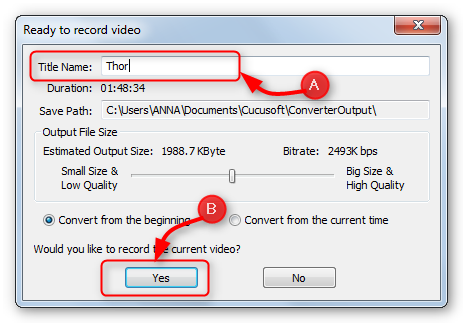 --Set the output path by choosing the output folder where you want your DVD to MP4 output files to be stored. Step 5: Click the "Convert" button to start the DVD to MP4 conversion. Step 6: Renaming the Output File. B.) just click "Yes" to proceed with the DVD to MP4 conversion. --The progress of the DVD to MP4 conversion can be checked at the lower portion of the converter's interface. Step 8: Conversion is done. 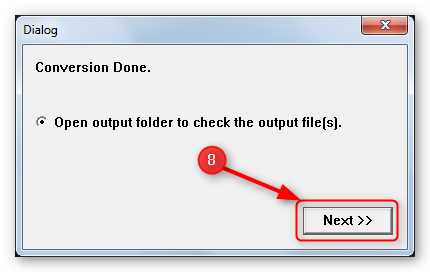 --Once the DVD to MP4 conversion is finished, you will get a "Conversion Done" dialog box, just click "Next" to open the output folder where the converted file was saved. Step 9: Transferring the output file of your DVD to MP4 conversion. --After conversion, you may now transfer the converted files to your device.